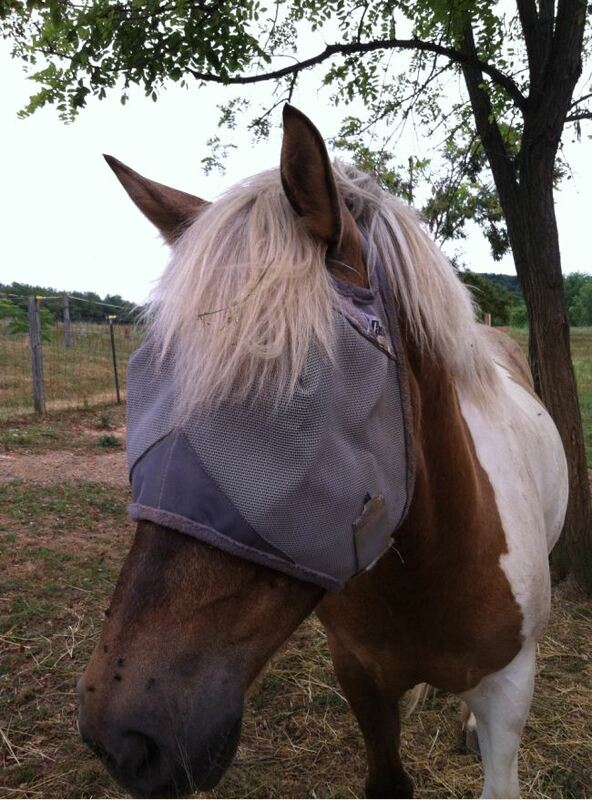 It’s fly season, and like most horse owners, I outfit Simon in a flymask. My current favorite is the Cashel Crusader. 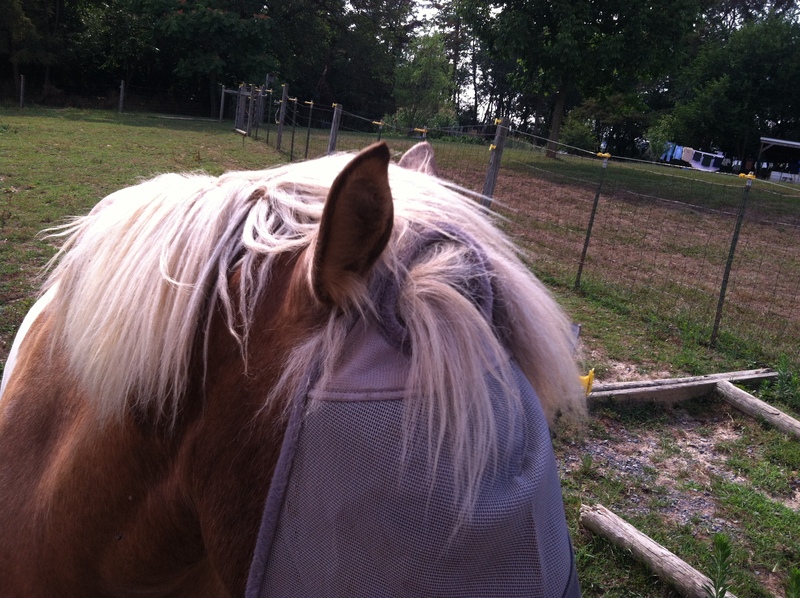 Nice hay in your forelock there buddy. One thing I like about the Crusader is that it is lightweight and it doesn’t have a lot of fluffy fake fur padding around the edges like the old style Super Masks. Those always seemed to make my ponies get sweaty lines on their noses. The mesh is also thinner and holds up better and there is a slight structure that holds the mesh into a bug eyed shape, keeping it off the pony’s face. Flies on your nose, attractive photo. My favorite part of the Crusader is the fit. Being a pony owner, it is often hard to find a mask that properly fits. They are too long in the nose, or too narrow in the throat, or just big all around. Simon has a short face,but his jaw is deep and the large pony size fits him perfectly. And with a pony like Simon, you can imagine how talented he is at take off his mask. But the double Velcro under the chin and the cloth ear hole area that has an additional hole for the forelock to pop through seem to help give a clean fit. Fly masks also tend to be tacky and ugly, and I feel the Cashel company has done its best to ease this with the Crusader’s conservative grey color and simple lines. And the Crusader is affordable at around $20 a pop. Simon got one ear out yesterday.